For a true taste of excellent ethnic food, we invite you to dine with us at Queen of Sheba Ethiopian Cuisine. We are Spokane's first Ethiopian restaurant and we take great pride in bringing the wonders of these great dishes to you, your family and friends. Come dine with us today. 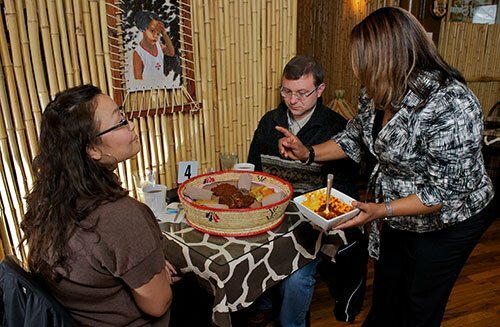 Ethiopian dining is a communal experience, perfect for groups. We serve the dishes on a single platter, on top of a large piece of flat bread called injera. Injera is like a crepe with a spongy texture made from a fermented teff batter. Teff is a healthy grain that is high in protein, iron and fiber. We offer beef, lamb and chicken dishes, though Ethiopian cooking offers many vegetarian and vegan options. 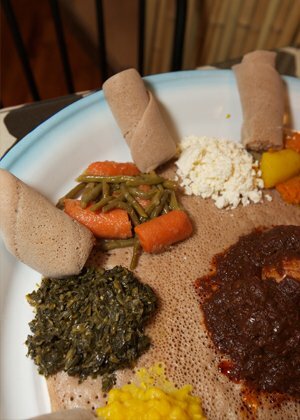 Eating the dishes involves tearing off a piece of the injera and wrapping it around a piece of the stew-like dish. Good etiquette is using only one hand for eating and avoiding touching your fingers to your mouth. Ethiopian dishes use many exotic spice blends. Berberé, a spice mix made from matured red chili pepper and other exotic spices, can range from mild to hot. Niter kibbeh is clarified butter infused with different spices. Alicha indicates a mild stew. We’t is a spicy stew infused with berberé. We pride ourselves on excellent service and hospitality. 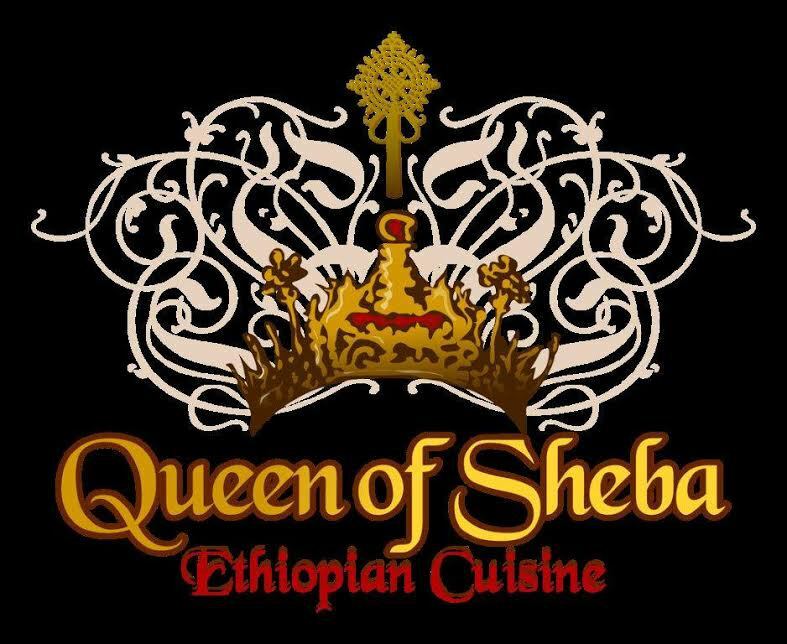 Queen of Sheba Ethiopian Cuisine is an extension of our home. As such, you are treated like our guests. Expect warm, hospitable service when you come in to dine with us. One symbol of our hospitality is the Ethiopian coffee ceremony, an important component of our culture. This lengthy ceremony includes slowly sipping three cups of coffee. The third is considered to bestow a blessing. The coffee ceremony is a strong mark of friendship and respect. 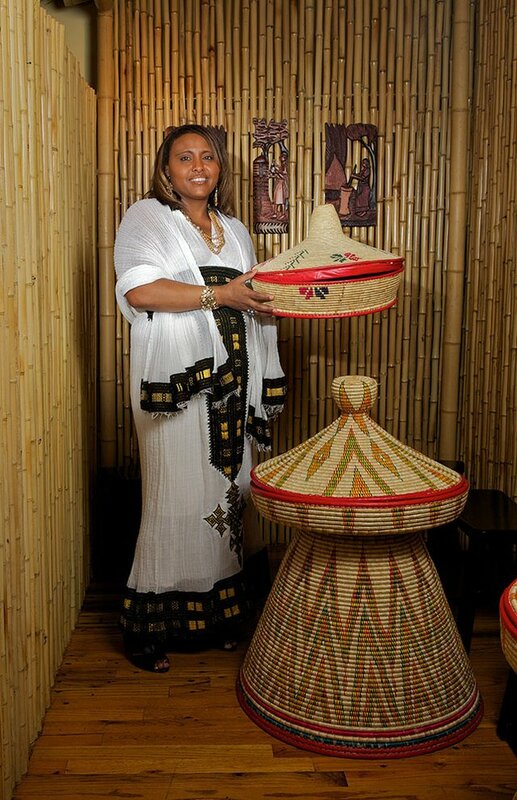 Born and raised in Ethiopia, our owner Almaz has lived all over the world. Stints in Kenya, the Ivory Coast, the Caribbean, and Southern California allowed Almaz great exposure to the world, and she has extensive experience with missionary work. Her dream of opening an Ethiopian restaurant was realized when she and her husband moved to Spokane. 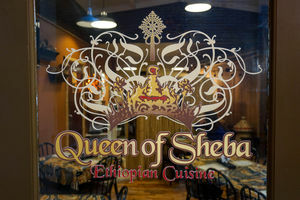 Today, Queen of Sheba Ethiopian Cuisine is a direct result of Almaz pursuing her dream.